Sulphurous Water is found in pools scattered around Egypt. 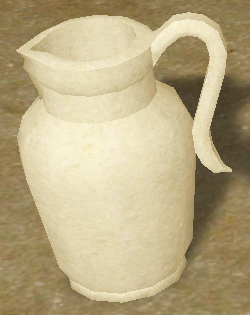 It can be gathered in Jugs just like normal water. Tuition numbers not verified for Tale 8! Make sure you have Empty Jugs available to gather water. Then find a Sulphurous Water pool and use the normal Gather Water icon. You will get a different dialog option that confirms you are getting Sulphurous Water and not regular (see picture). Some pools are sulphurous in some spots but regular water in others. If you're having trouble gathering, make sure you're standing at the exact coordinates listed on the map below. Attempting to fish in sulphurous water will give the message "The water is dead, and smells like rotten eggs."